This filly is a big, scopey individual. It's hard to look past these Vancouvers & she's out of a very fast mare. An unbeaten Golden Slipper winning Champion two-year-old Vancouver has all the credentials to become a super sire. The highest rated two-year-old of his generation Vancouver kicked off his career taking out the Breeders' Plate in fine fashion. He then went on to win the Group Three Canonbury Stakes and the Group Two Todman Stakes on his flawless path to the Golden Slipper. He culminated his career as a two-year-old with an impressive victory in the Golden Slipper, the world's richest two-year-old race and the race that continues to shape the Australian breeding and racing industry like no other. With his progeny proving to be well received and very popular in the ring we are delighted to have secured this beautiful filly with all her sire's traits. This filly is the first foal out of the Group Two winning mare Blueberry Hill. A very fast and precocious two-year-old, Blueberry Hill won her first two starts. She then went on to win a Group Two and place in a further two Group races that same campaign. The talented mare then came back as three-year-old to take out a listed race in dominant fashion. Hailing from the family of Group One Victoria Derby winner Rebel Raider, this filly's pedigree boasts stakes horses all throughout. 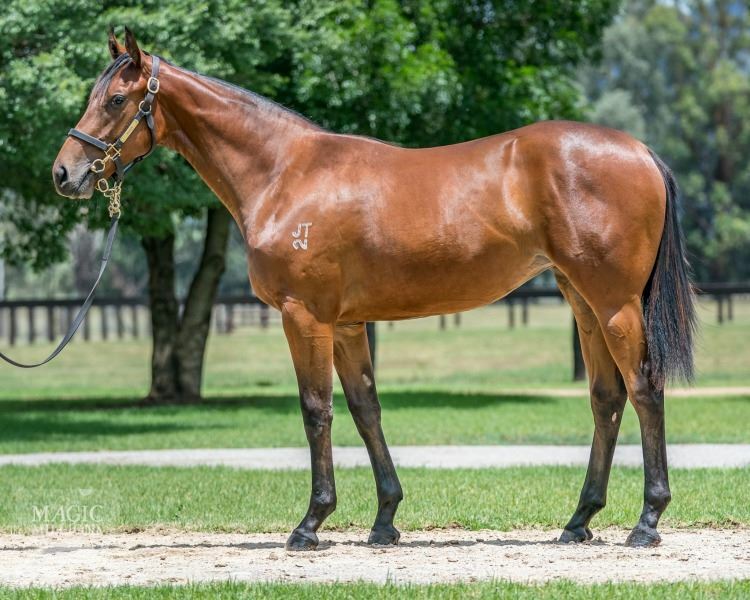 With speed on speed being by a Golden Slipper winner out of a very fast two-year-old Group Two winning mare we expect nothing but a precocious and fast filly in this daughter of Vancouver. BLUEBERRY HILL, by Myboycharlie (Ire). 4 wins-3 at 2-to 1350m, A$328,550, BRC Champagne Classic, Gr.2, Ipswich TC Gai Waterhouse Classic, L, Qld Tatt's RC Centenary Classic Mercedes-Benz 2YO H., SCTC James Oliver & Barbara McFarlane 2YO H., 2d BRC Sires' Produce S., Gr.2, GCTC Ken Russell Memorial Classic, Gr.3. This is her first foal. BLUEBERRY HILL (f Myboycharlie) 4 wins. See above. Headwater Country. 6 wins-1 at 2-to 1200m, A$130,630, BRC Flight Centre 3YO H., Garrards Horse & Hound P., Ipswich TC Brisbane Airport Transport H., 3d ATC Colin Pearce 100th Birthday 2YO P.
Half Moon Blue. Placed in 2018-19 in Aust. Royal Causeway. 5 wins from 1650m to 2800m, STC Freeway Hotel Texas Poker H., 3d AJC Shaftesbury Avenue H.
Eight Strikes. Winner at 1350m in Aust. Kiss the Rock. Winner at 1000m in Aust. BLACK AHEAD (g Lonhro) 6 wins to 1300m in Malaysia, Penang TC Dr Lim Ah Soo Memorial Trophy, L.
BRIEF KISS (f Brief Truce) 5 wins. See above. REBEL RAIDER (c Reset) Top of 2008-09 Australasian 3YO Classification (long). 6 wins-2 at 2-from 1200m to 2500m, A$1,408,340, Victoria Derby, Gr.1, South Australian Derby, Gr.1, SAJC Sires' Produce S., Gr.3, Spring S., Gr.3, Chairman's S., L, AV Jennings 2YO H., 2d SAJC Paul Snigg H., Melbourne Cup Day at ASPM H., 3d SAJC Penny Edition S., L, Geelong Classic, L, 4th SAJC Spring S., Gr.3. Sire. SHAMOLINE WARRIOR (c Shamardal) 3 wins-1 at 2-from 1200m to 2000m, A$205,375, MRC Norman Robinson S., Gr.3, VRC Super Impose S., L, 2d MRC New Litho H., 3d MRC Shadwell Farm Kentucky (USA) H., 4th MRC Vain S., L. Sire. 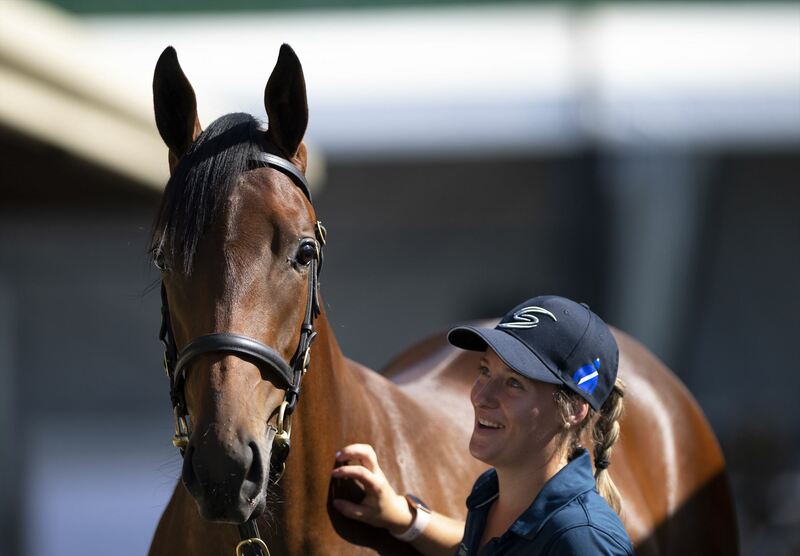 CADILLAC MOUNTAIN (g Reset) 4 wins from 1500m to 2600m, A$296,295, Werribee Cup, L, 2d MVRC Alister Clark S., Gr.2, VRC Roy Higgins H., L.
HAYBAH (f More Than Ready) 3 wins-2 at 2-to 1200m, A$153,880, SAJC Cinderella S., L, 2d MRC Blue Diamond Preview (f), Gr.3, Chairman's S., Gr.3. 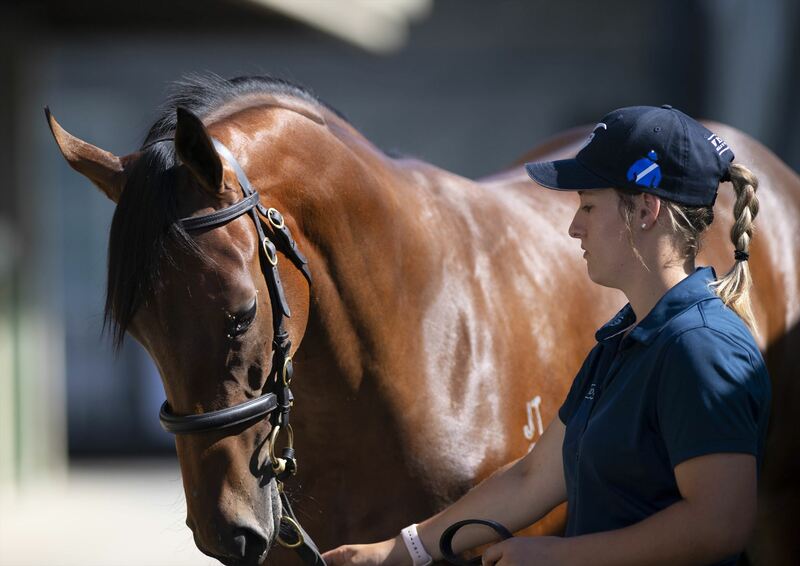 JUNGLE EDGE (g Dubawi) 15 wins to 1400m, A$1,268,810, to 2018-19, ATC Star Kingdom H., Gr.3, 2d BRC Kingsford-Smith Cup, Gr.1, ATC Challenge S., Gr.2, 3d ATC Galaxy H., Gr.1, All Aged S., Gr.1. TROPIC THUNDER (g More Than Ready) 3 wins-1 at 2-at 1000m, 1250m, A$139,650, SAJC Redelva S., L, Distinctive Homes 2YO H., Sportingbet.com.au H.